If you’re an expectant mother and curious about midwifery and natural birth services in New Jersey, New Birth Experiences can answer all of your questions. As a licensed and certified midwife, with offices located in Branchburg and Ocean Grove, I can help expectant mothers experience natural childbirth at their homes all throughout the state. I enjoy helping women as they expand their families in the care and comfort of home. 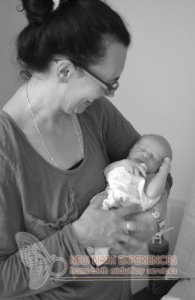 Natural home childbirth is an option for any woman looking to give birth in a safe and comfortable environment. As a midwife, it is my job to help guide through your chosen journey. 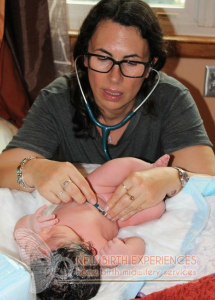 My years of experience and training allow me to help teach and explain the process of giving birth at home in New Jersey safely and comfortably. Think of the process as a journey, beginning with pregnancy and continuing through childbirth and postpartum care. As your guide, I will walk you through the entirety of your birthing experience and offer you care, comfort and support in making the decision to birth at home. Many women have discovered that a water birth is the right choice for them. A water birth can help ease the pain of contractions as you welcome your child into the world. I can work with you to determine the path that is best for you and help prepare you and your home for your new arrival, including the option of water birth equipment and supplies. If you are an expectant mother in the state of New Jersey and want to learn more about natural home birth and midwifery services, contact me today at 908-575-3282 or 908-507-1008 to discuss your options, questions and expectations.